Bloomberg New Energy Finance’s London Future of Energy Summit just wrapped up. As usual, the highlight of the show was the presentation from Michael Liebreich, BNEF Founder* and Chairman of the Advisory Board. Solar: I got cheap because I am manufactured at scale. As a quick bit of background on Michael, he has long advocated for clean energy and electric vehicles because of their air quality and climate benefits, but he’s a right-of-center cleantech leader who also likes to see the market do its job with as little government interference as practical. I would say that he typically presumes the market will reward the best technologies via the enthusiasm of early adopters and first followers, the cost-cutting experience curves that result, and the normal market-swallowing adoption path that disruptive technologies take (the well known S-curve). So, he was not super concerned when the reality TV actor the US now has as president was granted access to the White House and all its power (despite losing the popular vote by 3 million votes). The market would override any backwards ideas Trump brought to the table. Along those same lines but much more seriously, way back in January Michael actually pre-emptively fished out a statement about what India’s response would be if Donald pulled the USA out of the Paris climate agreement. Months before that actually happened, Michael knew this was one of the prime concerns of the cleantech and climate action community since India previously had big demands regarding US and European climate action — since we are the ones who have historically polluted the most and have much higher per-capita carbon footprints. But Michael also had a strong hunch that those talking points and negotiation tactics didn’t really matter, because cleantech had arrived. Since then, India has come out and announced a target to become the world’s first fully electric car country. It’s not likely to be the first, but that tells you a bit more about how the conversation has shifted in the past few years. 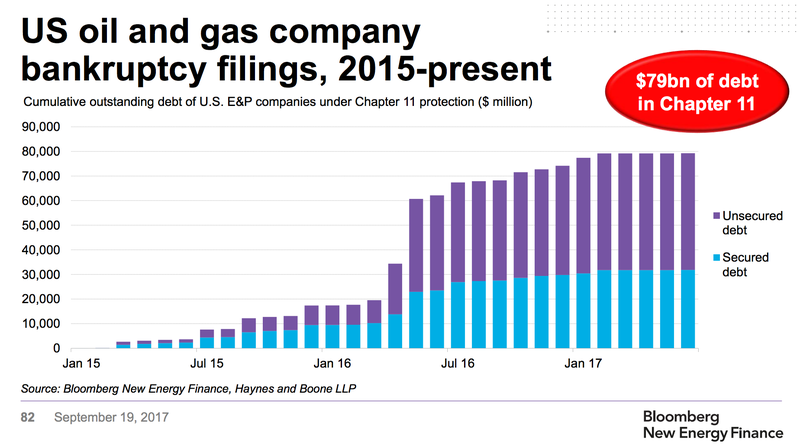 I was basically the only journalist on hand watching and recording the exchange — I don’t think anyone else reported on it — but I shared the whole thing in video format here on CleanTechnica if you want to have a look back. The basic summary of the response from India’s Minister of State with Independent Charge for Power, Coal, New & Renewable Energy and Mines, Piyush Goyal, was simple: cleantech has arrived, is more competitive than dirty tech, and will grow faster than countries around the world are promising in their individual country climate commitments (INDCs). As you can see in the chart above, 2004 hydrogen fuel cell vehicle targets for 2020 were woefully off. 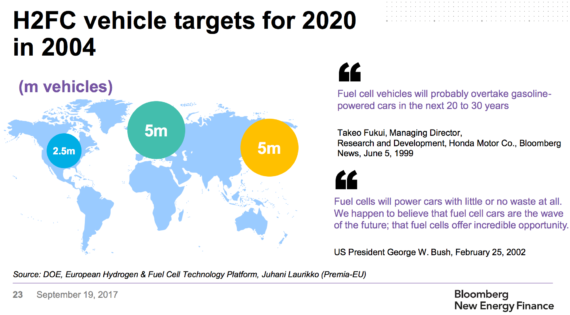 The cynical among us will say that automakers knew all along hydrogen cars wouldn’t become competitive and were simply trying to delay the transition to less profitable battery-electric vehicles. The more generous take is that the automakers didn’t understand the potent power of battery-electric vehicles, the technological opportunity, and the consumer demand that was waiting to be unleashed. 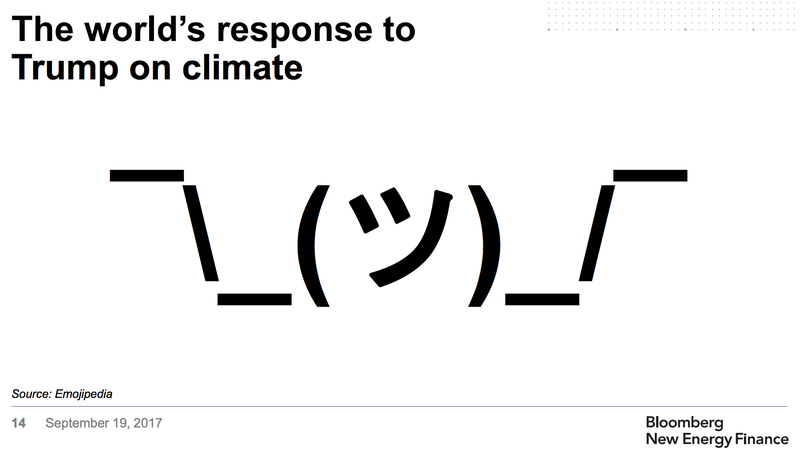 Either way, in ⅓ of one simple slide, Michael Liebreich’s presentation captured what changed the story. Yes, many people love that man. I doubt Michael would profess to being one of those adorers, and he probably has a more critical take than the norm on Sir Elon, but the BNEF founder is definitely one of the world’s premier observers of the cleantech market and fully understands that the automobile industry would be nothing like what it is today if not for Elon Musk and Tesla. Elon is definitely a marketing master as well as a uniquely perceptive businessman and engineer, but his rise — the ongoing success of Tesla — was without a doubt a black swan event that even Elon didn’t think would turn out as well as it has. Generally speaking, Tesla has already achieved its mission statement — to hasten the transition to electric vehicles — but it is continuously working to step on the accelerator pedal after obsessively tapping the Ludicrous mode button on the touchscreen, so count on other automakers upgrading their electrification plans several times in the coming years. In any case, the forecasts are presumably getting a bit easier. 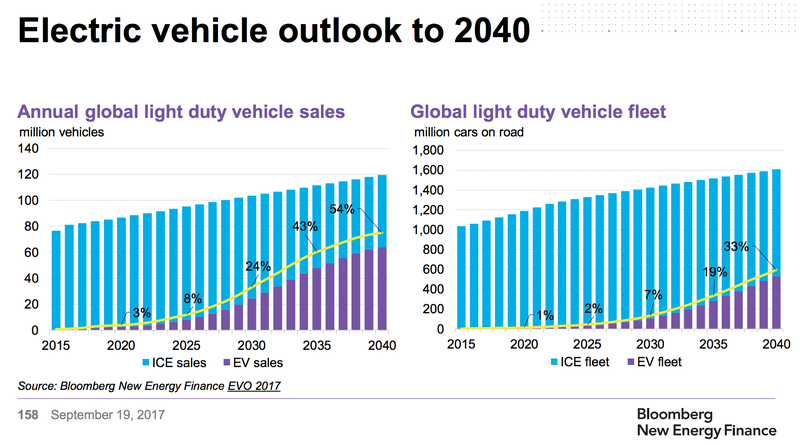 Electric vehicles are set to take over a sizable percentage of the new car market in the coming decade or two. Even BNEF has had to make its forecasts more aggressive a couple of times in recent years, but I think it remains too conservative. That curve in the graph below doesn’t look nearly steep enough to me, even though it is probably the best forecast from the serious people forecasting large markets like this. Of course, where there are nights, there are days. Where there are births, there are deaths. And where there are winners, there are losers. A couple of the world’s largest, richest, and most powerful industries are set to lose from the transition to electric vehicles — the oil industry and the auto industry. Pause to think about that for a minute, because the downsizing or collapse of the giants leading those industries will not go silently into the night. Those companies and their billionaire and multi-millionaire executives will fight. They will cheat. They will pay for favors from governmental “leaders.” They will spend millions upon millions to try to counter the positive PR campaign of Elon’s tweets, which are generating an ever-growing groundswell of consumer revolution. Turn the volume up to 11 before reading further. Or, if you’re not in a Tesla, just turn it up loud. You could say that Chapter 1 of the EV revolution was 190 years ago, or perhaps 118 years ago. Or, if you want to skip those deeper roots, maybe you could say it was the period in the 1990s when GM’s EV1 hit the market, was pulled off the market, led to candlelight vigils from sad lessees who had to have their beloved cars taken away from them … and the documentary that was inspired by all of that. Or maybe the novel should start with John Goodenough. Or, perhaps you could say this story began when Elon Musk watched that documentary noted above and felt compelled to start a company focused on one of his college obsessions — fun and powerful electric cars. No matter where you start the story, though, we’ve hit the point where the hero or heroine gets a green light and steps on the electricity pedal. The car is quickly flying forward — crushing the Ferraris and Lamborghinis on it sides. The goal of the driver is clear — save the day, crush the dirty and immoral competition, win the world. The winner is clear to viewers as the plot starts to really thrill us, but we can’t put the book down or turn the movie off now. Get the popcorn! *See my exclusive interview with Michael about the history of Bloomberg New Energy Finance for a fun story.